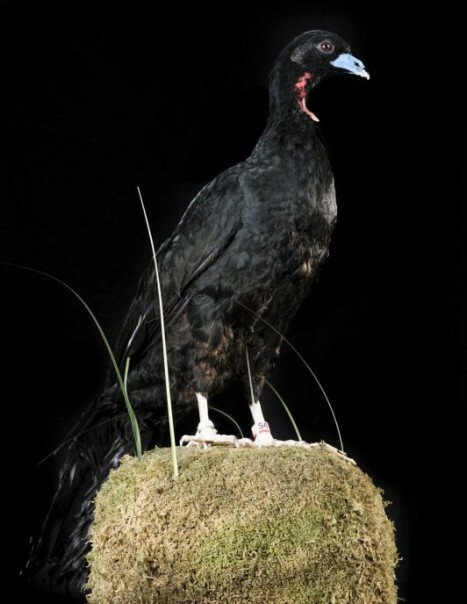 The wattled guan belongs to the Cracidae family. This is a small bird with a long neck. It measures between 71 and 78 cm on average, its plumage is glossy black, it has a dull blue beak and its bare throat carries a cream outgrowth pendulum. 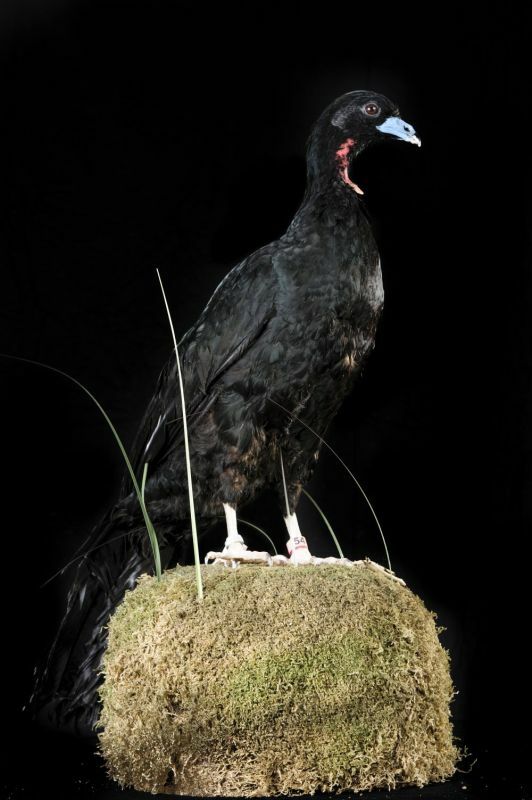 The guans aburri are usually found in tropical and subtropical forests in altitude between 500 and 2500 meters. It is thought that this bird is still under threat, especially in areas where habitat remains common and fragile, namely the Andean region (northwestern Venezuela, Peru, Colombia, Ecuador). It is threatened by loss of habitat, the decline of its population. Deforestation for agriculture certainly does not help the Wattled guan finding refuge and reproducing in good conditions. Like many tropical forest birds, it is heard more often than seen. It mainly eats fruits, sometimes vegetable matter, earthworms and sometimes swallows sand to make profit out of mineral supplements. We know almost nothing of its reproduction but is thought to be similar of Albert hocco’s ones that breed during the dry season, adopting a mode of monogamous reproduction where the male supports building the nest made of wool and leaves while the female lays 2 to 3 eggs incubated thereafter for about 1 month.